1,800 miles away from Cazenovia, N.Y., hundreds of people in Puerto Rico are using a smartphone app to receive daily updates on water distribution centers, hospitals with electricity, availability of cell service, and electricity within their municipality. Cazenovia College art professor Anita Welych is one of the voices delivering this critical information to Puerto Ricans. Welych has been aiding rescue and recovery efforts in Puerto Rico since Hurricane Maria devastated the island on September 20. From her home, Welych has been an active crowdsource volunteer through Crowd Rescue HQ. Welych says her contributions have helped to provide critical safety information for an interactive map used by residents and federal agencies, providing daily audio broadcasts via a smartphone app, and have begun to utilize her artistic abilities to aid in keeping those impacted by Hurricane Maria safe. Local 8th grade students visited Cazenovia College to participate in faculty-led workshops on cartooning, figure drawing and exquisite masks. Cazenovia College Alumna Judith Anderson Whitney ’12 organized this event along with the Cazenovia College Admissions staff. 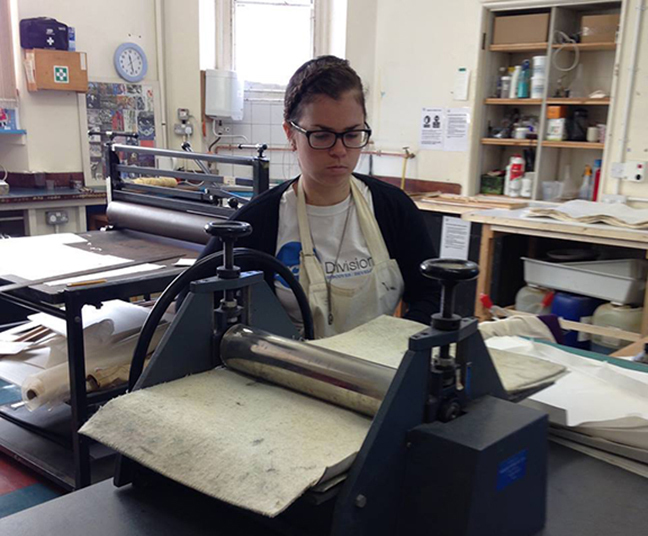 "I chose Cazenovia College for a number of reasons - the first being, they have a wonderful art program." 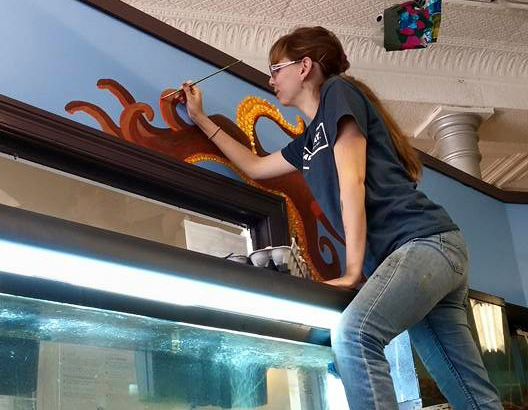 Learn how Marie developed as an artist and gained the experience and knowledge she needed to meet her career goals. Le Moyne College Provost Fr. Joseph Marina and Cazenovia College President Ronald Chesbrough signed an "accelerated path" agreement to attract Cazenovia students to Le Moyne's master of science in arts administration program. Goss has been a faculty member in the studio art program for over thirty years. "I like to figure out what makes each student a unique individual. By understanding the individuals I am working with, I am able to help students get personally invested in their art-making." Waale has been teaching at Cazenovia College for 28 years. Jen Pepper, associate professor of art and design and director of the Art Gallery, took advantage of three international artist residencies during her 2015 sabbatical. 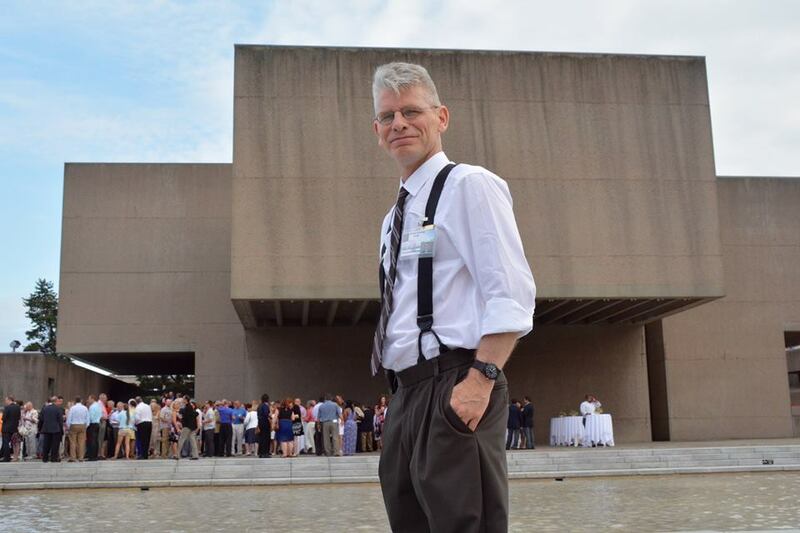 "The enrichment that each residency provided allowed me to also develop new ideas that will augment courses I am currently teaching, as well as begin the development of a new, study abroad course." Joan Becker is a graduate of Cazenovia College, Moore College of Art and Design with a BS in Education, and the Pennsylvania Academy of Fine Art. Currently, she shows her work at Gross McCleaf Gallery in Center City, Philadelphia and Rock House Gallery in Key West, FL. In 2016, Joan had one-woman shows at both galleries. Members of the Cazenovia College Division of Art and Design hosted an exhibition of their work in the Cazenovia College Art Gallery in Reisman Hall. This years’ work included displays from 15 faculty members, including: Jo Buffalo, professor emeritus; Sarah Cross, assistant professor; Corky Goss, professor; Mike Granan, educational technology support specialist; Andrea Hempstead, visiting instructor; Megan Lawson-Clark, assistant professor; Susan Machamer, visiting instructor; Joseph Murphy, visiting instructor; Paul Pearce, visiting instructor; Jen Pepper, associate professor; Jeremy Randall, visiting instructor; Courtney Rile, visiting instructor; Allyn Stewart, professor; Kim Waale, professor; and Anita Welych, professor. 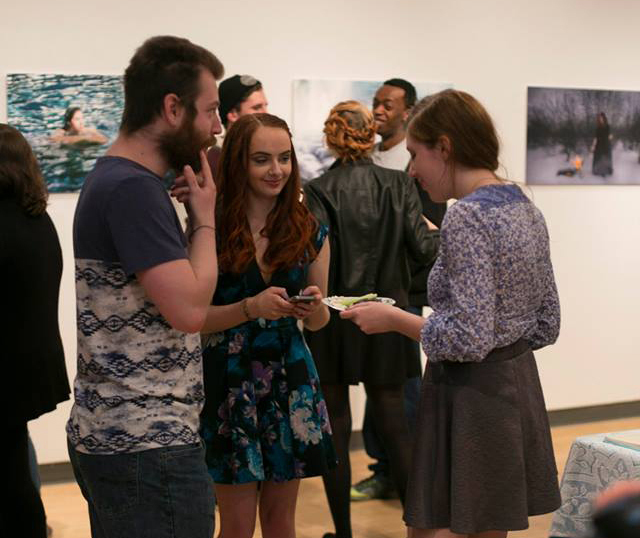 The "Thinking Back Moving Forward" art exhibition highlighted Studio Art & Photography alumni. The exhibition was displayed at Cazenovia College's Jephson Campus A campus. The Annual Juried Student Exhibition highlights student work includes a variety of photographs, drawings, animation and more. The exhibition was at the Cazenovia College Art Gallery in Reisman Hall. Cazenovia College students, faculty and staff display and sell artwork and crafts at the Annual Arts and Crafts Fair. This event is held in held in conjunction with Cazenovia's annual tree lighting ceremony. "Strange Nature," a group exhibition, showed the work of Stephen Brucker, Sarah Stonefoot Cross, Gail Hoffman, Tom Lundquist, and Ann Resnick. Artwork in the exhibition included photography, sculpture, digital prints, and video installation. 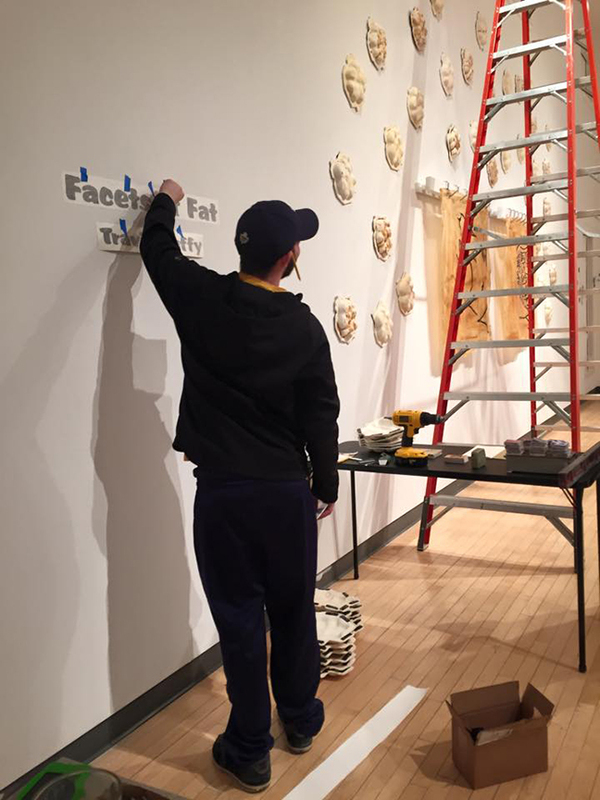 The exhibition was held in the Cazenovia College Art Gallery in Reisman Hall. The Sabbatical Returns Exhibition featured the sabbatical work of Jo Buffalo, professor of art; Scott Jensen, associate professor of visual communications; Jen Pepper, associate professor of art; Allyn Stewart, assistant professor of visual communications; and Kim Waale, professor of art was displayed. 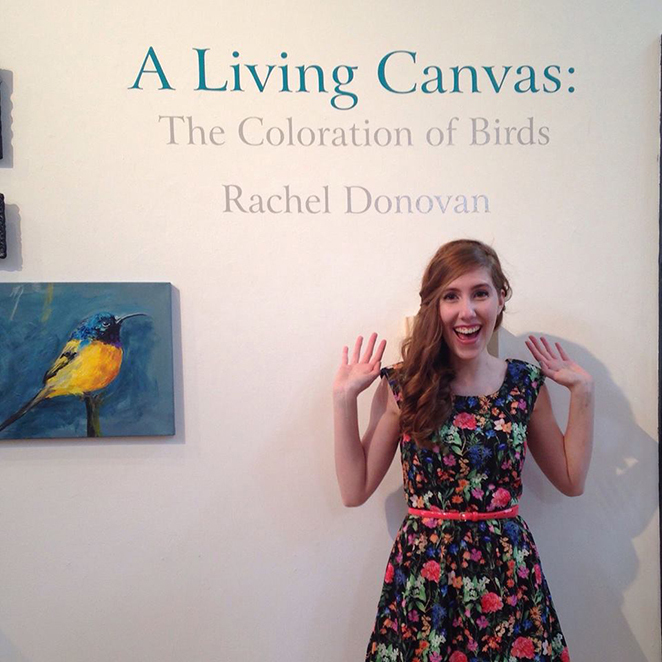 The exhibition was held at the Cazenovia College Art Gallery in Reisman Hall. Nestled in the hills just off Route 20 in Cazenovia, N.Y. is one of Cazenovia's most unique destinations - the Stone Quarry Hill Art Park. Cazenovia College's FA 405 - Arts in the Community class, taught by Professor of Art Anita Welych, held an arts and craft show to benefit a local animal shelter, Wanderers' Rest. "Words are the presumed medium of writers, dramatists and poets. But don't tell that to Jen Pepper." -- Katherine Rushworth, CNY Magazine. Andrea Kennedy participated in an internship at the NES Artist Residency in Skagaströnd, Iceland. Kennedy wrote a blog and shared many of her photos throughout her internship. 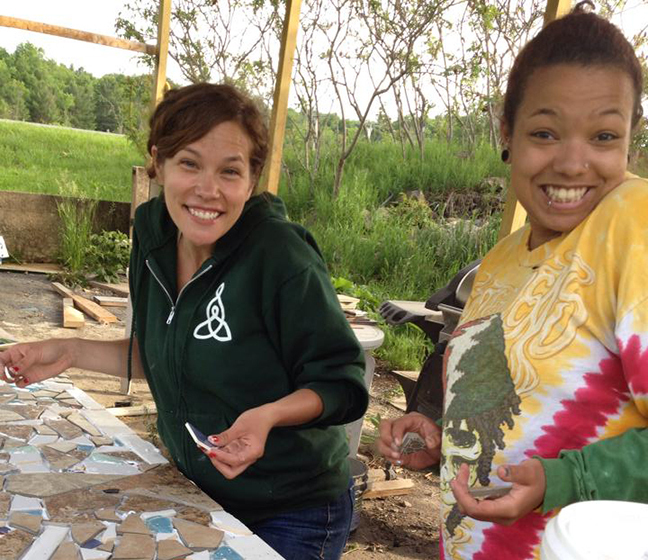 "My experience here at Caz has been rediscovering what a family is!" Read the My Caz Experience article about Simone Maderal.